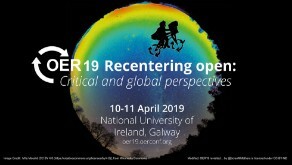 With over 100 confirmed sessions and registrations of 150+ participants and counting, this year’s OER Conference is looking to be a very exciting event. We have received strong support from sponsors and partners already, and some opportunities have now sold out. This is a final call to get involved to support this important event. Please see full details here and contact us.